Born Beatrice Lee Caruba in Staten Island, NY, Betty graduated from the University of Miami where she was swept off of her feet by her future husband, Reed Parham. Since Reed was a native of Atlanta, they settled there and had their son, Jamie, who was the light of their lives. After graduating from Atlanta Law School, Betty returned to her newspaper roots and began her 25 year career at the Atlanta Journal Constitution. She worked her way from legal assistant to journalist, who eventually wrote a nationally syndicated food column. Betty’s great passion for food and cooking was formed during her Italian upbringing, where food was central to family celebrations and lifestyle. This, combined with the fearless creativity that defined her, led her to start CCC, which she took great pride in. It gave her great joy to think of the community that was formed as a result of her site. 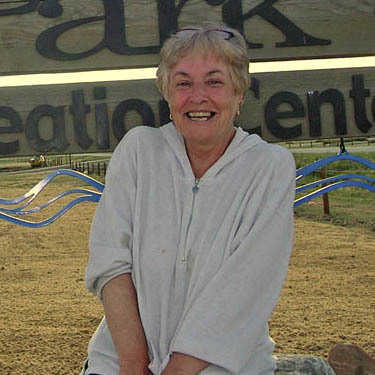 When her husband of over 40 years died in 2005, she relocated to be with her son and family in Lafayette, CO, where she dove into her role as grandmother to her 2 young granddaughters whom she cherished. Having never been west of the Mississippi, her mountain view from the kitchen where she spent so much time was a huge source of inspiration. Her Italian heritage shined as she planned elaborate holiday feasts that always started with an antipasto. Betty was always looking for ways to instill culture into her granddaughters’ lives, taking them to countless plays and cultural events around town. She was a huge presence in her family and community’s life. A lover of great conversation, politics, and art, Betty was full of life and laughter, and made a mark on everyone she met.